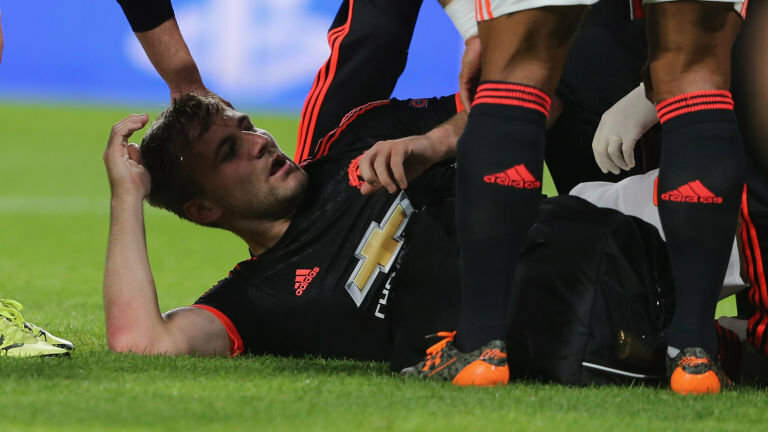 Manchester United left back Luke Shaw has completed his surgery on his leg. It’s believed it was a clean break. Luke Shaw‘s bone did not pierce his skin so there will be no infection. Luke Shaw underwent surgery on his injury on Tuesday night and will remain in hospital in Eindhoven to continue his recovery, unlike what was said that he was going to travel to Manchester for surgery. The good news after a clean break is that Luke Shaw could be out for up to 6 months instead of the predicted 8-9 months, which means he could feature this season, and perhaps manage to make it to Euro 2016 if he was lucky. United spokesperson: Luke underwent surgery for his injury last night and will remain in hospital in Eindhoven to continue his early recovery. Manchester United are grateful for the excellent care he is receiving and would like to thank everyone who has sent messages of support. Quick recovery,his performance were good this season !